In a large bowl, blend together the cream cheese, butter, lemon juice, and vanilla. Gradually add the powdered sugar until it is completely incorporated into the frosting. Food coloring can be added to give the frosting a lovely lemon color. About 12 drops works perfectly, but this is optional. Fold in the whipped topping. Refrigerate overnight before piping it onto cupcakes. This would also be delicious on cake, fruit, or tarts. Voila! My kitchen mishap suddenly turned into a delicious disaster. The frosting was even tastier than before and had a wonderful creamy consistency. Thus my frosting became a yummy whipped lemon cream cheese frosting. I hope you enjoy! 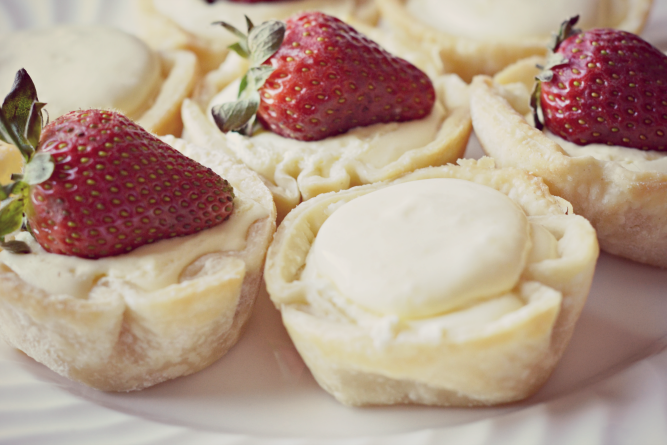 How about some Whipped Lemon Cream Cheese Tartlets? You can find that recipe here. *Affiliate links are present on this post and site. YUM!!! I love lemon anything!!! The texture is fabulous! I think cream cheese frosting often turns out runnier than you want. What a great idea. 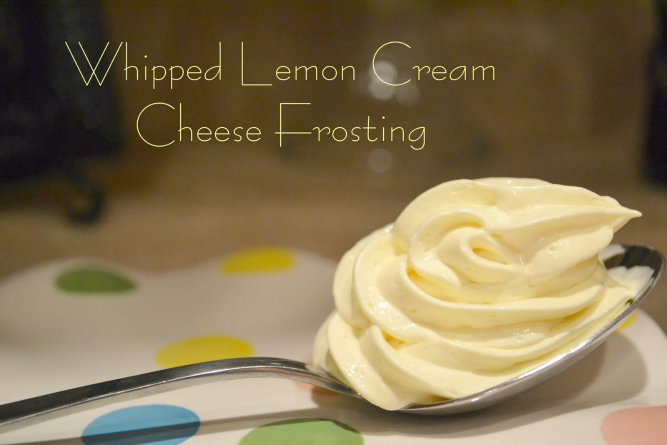 this combines a couple of my favorite things - cream cheese frosting & lemon. Thanks for the inspiration. Saw this on Craft-O-Maniac. I can't wait to try it. I pinned it on my Pinterest too. I wish I was holding that spoon in my hand right now along with the entire bowl of frosting! Yum! A spoon full of frosting..mmmm. I want to eat it right off the spoon! I am your newesr follower! I would love it if you would follow back! Mmm, this sounds delicious! I have to try it!! Oh wow, this looks delicious! Bookmarking to try on some cupcakes! New follower from the Weekend Wrap Up Party. Would appreciate it if you wouldn't mind following me back. Thanks for linking up your recipes at Cast Party Wednesday. I hope you come back tomorrow and share some more of your awesome recipes! When you say a 16 oz container of whipped cream, do you mean unwhipped whipping cream? i think she means cool whip ? Will the frosted cake need to be refrigerated when finished since it is made of cool whip? Yes, I would keep it cold since the frosting is made with cream cheese. ciao Jenne..mi piace questo frosting..ma ho difficoltà a capire le vostre unità di misura...oz...once...noi abbiamo i grammi....!!! Yes. I'm sorry. My dash may have been a bit confusing. It is one 8 oz. package of cream cheese. I love cream cheese frosting!! Oh my goodness does this look good! Visiting from SITS! Oooh this looks very yummy! That looks and sounds absolutely delicious! I'd love to make some mini cupcakes with the girls and use this icing recipe. Thanks! Would it hold up as a frosting cake layer inside cake? Although I haven't used this as an inside layer, I have used a chocolate whipped frosting that worked beautifully. Place it in the refrigerator for a few hours before frosting, and it would do just fine. Do you use the blue tub of cool whip? Or like a can of whipped cream? The container of "whipped cream"....is that Cool Whip or are you referring to the real Whipped Cream that comes in a spray can in the dairy aisle? Approximately how much frosting does this recipe make and how big of a cake will it frost? I would make french toast and put fresh strawberries around the top and in the center put a big spoon of this frosting. Yummy.. So yummy! I've got a blueberry lemon cake fresh out of the oven waiting to cool...I just finished making your lemon cream cheese frosting..so yummy! Thank you!